9 x 12 oil on board. This painting was painted from the lawn in front of the Beach House Restaurant. It was great fun to paint there and when my friend, Karen and I were done painting for the day, lunch was served to us in the Beach House. Talk about a convent location! 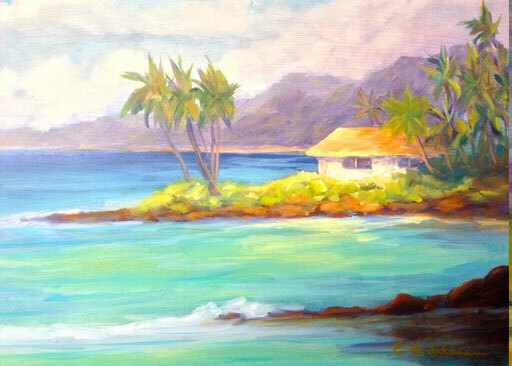 This painting sold today at the Art House in Koloa. . Congratulations to the owners. Enjoy!